Gain: 3.2dBi (VHF)/5.6dBi (UHF). Connector Type: SMA-F (Female). Ordinary antenna length: 22.3cm. Bare ordinary antenna length: 16.3cm. Band: Dual Band VHF/UHF. Net weight: 87g. Product Details. SF20 Dual Band Mini Soft Antenna SMA-F Baofeng Wouxun KENWOOD. Frequency:136~174MHz / 400~520MHz (Dual band ~ UHF/VHF ). KG-689, KG-689 PLUS, KG-669, KG-669 PLUS, KG-659, KG-699E, KG-UVD1. PX-777, PX-777 PLUS, PX-666, PX-888. Nagoya 136-174/400-520 MHz SMA-Female Dual-Band NA-701 Antenna for Two-way Radio. Content:Nagoya 701 SMA Female Connector. The Original Nagoya N701 Whip Antenna will allow you to get longer range on your radio. This is not a Yaesu product. We use a much heavier female connector with this cable. 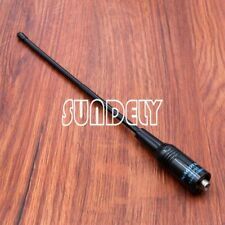 For Baofeng NAGOYA SMA NA-701 VHF / UHF Antenna UV-5R UV-3R SMA Female - NEW !!! This is not a Yaesu product. Box and radio connections are show for illustration. Radio and microphone are not included. You get one curly cord. This is a RJ45 8 pin curly cord. Hidden microphone inside PTT switch. T270, T280, T289. SX500, SX620R, SX700, SX709R, SX750, SX800, SX900, SX920R. Spirit GT / GT plus, FR50, FR60. XTR446, XTL446,PMR446. TKLR Series: TKLR T3, TKLR T4, TLKR T5, TLKR T7. BAOFENG handheld Radio: UV-5R, UV-3R Plus UV5R/Plus, UV5RA/Plus, UV5RE/Plus, UV5RB, UV5RC, UV5RD, UV3R Plus, BF888s, BF666s, BF777, BF-320, BF-480, BF-490, BF-520, BF-V6, BF-V8, etc…. Ordinary antenna length: 22.3cm. CP Series: CP88,CP 040. CP100,CP 125, CP150,CP 200, CP250,CP 300. High Quality Acoustic Tube Earpiece For Motorola Radios. GP Series: GP2000,GP 2100, GP300,GP 308, GP68 ,GP 88, GP88S,GP 350. Hidden microphone inside PTT switch. T50 and T60 series as T51 T55 T61 T5. Throat Vibration Style Headset for Midland Radios. Action Throat Mic Headset. Hidden microphone inside PTT switch. In-Ear Speaker. One spare plastic earbud included. UHF Antenna For motorola Radios Walkie Talkies. Frequency: 400-470 MHz(UHF ). Compatible Motorola Models. Throat Vibration Mic Earpiece with Finger PTT for Midland Radios. Alan Midland /G6 / G7 / G8 / G9/ G10/ G12 /M24 / M48 / M99 / 445 Sport / 445 BT ALAN 421 /441 / 443 / 451 / 456R MIDLAND Ocean ，. Finger PTT for easy using. Alan Midland /G6 / G7 / G8 / G9/ G10/ G12 /M24 / M48 / M99 / 445 Sport / 445 BT ALAN 421 /441 / 443 / 451 / 456R MIDLAND Ocean ，. Throat Vibration Mic Earpiece with Finger PTT for Midland Radios. Throat Mic Headset/Earpiece For Midland 2 Two Way Radio Walkie Talkie Finger PTT. Motorola XTS Series: XTS1500, XTS2500, XTS3000, XTS3500, XTS5000, XTS5000R, XTS5100, XTS7700. Pick up voice by detecting throat vibration and transfer to electronic signal. Thorat Vibration Mic headset with adjustable band for Motorola Radios. Other Series: GTI, GTX, VL 130, PMR446 ,ECP 100, PR400,BPR-40, EP450,AU1200, AV1200. Earpieces Motorola Radios CLS1110/CLS1410/CLS1450C/SP50. 新增網頁1 2 x Clip-Ear Headsets for Motorola Radios. Motorola Spirit Series: SV10, SV11, SV11D, SV21, SV12, SV22, SV22C, SU210, SU22, SU22C, SU220 VHF / UHF Spirit, Spirit Pro, Spirit Pro . WOUXUN handheld Radio: KG-UVD1P, KG-659, KG-669, KG-669 PLUS, KG-679, KG-679 Plus, KG-689, KG-689 PLUS, KG-699E. Kenwood handheld Radio : TK-240, TK-250, TK-255, TK-260, TK-260G, TK-270, TK-270G, TK-272G, TK-278, TK-278G, TK-340, TK-349, TK-350, TK-353, TK-360, TK-360G, TK-370, TK-370G, TK-373G, TK-378, TK-378G, TK-430, TK-431, TK-715, TK-2100, TK-2102, TK-2107, TK-2118, TK-2160, TK-3100, TK-3101, TK-3102, TK-3107, TK-3118, TK-3160. 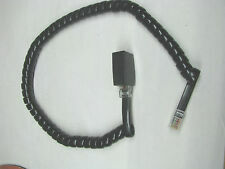 Covert Acoustic Tube Earpiece for Icom Radios. Compatible Icom Models Hidden microphone inside PTT switch. You may also like. One spare plastic earbud included. Acoustic Headset/Earpiece Icom Radio IC F50 F51 F60 F61. Covert Acoustic Tube Earpiece for Icom Radios. Compatible Icom Models Transparent flexible acoustic tube. Hidden microphone inside PTT switch. The Noise Eliminating throat microphone is superior to a noise-cancelling mic, this throat microphone eliminates most background noise whether in the battle field or on the job site. Utilizing dual active throat microphone transponders, sound is absorbed via vibrations from the throat and transferred to the radio which is then converted into recognizable voice frequencies. Motorola XTS Series: XTS1500,XTS 2500, XTS3000/,XTS 3500, XTS5000, XTS 5000R. Other Motorola: HT1000,HT 2000, JT1000,PR 1500, MT1500,MT 2000, MTS2000. 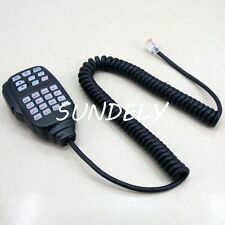 High Quality Heavy Duty Hand Mic for Motorola Radios. Universal Listen-Only Acoustic Tube Earpiece For Radio (with 3.5mm jack). Most Radios with 3.5mm headset jack or Hand mic with 3.5mm headset jack. You may also like. ACXT390 ACXT645 ACXT545 ACXT345 CX312 CX335 CX445 CXR725 CXR825 CXR925 CXY800 CXY900 WR380 CXT331 CXT332 CXT396A CXT398A CXT531 PR561BLT PR562BLT ACXT360. 1 x CovertA coustic Tube Headset for Cobra Radios. BAOFENG: UV3R etc…. Connector：SMA-M male Interface. Frequency:136~174MHz / 400~520MHz (Dual band ~ UHF/VHF ). YAESU: VX-3R VX-5R VX-6R VX-7R VX-8R VX-150 VX-160, VX-170 VX-177 VX-180, VX-400, VX-300, VX-800, FT- 270R, FT-250R,, VX-230,VX-8DR, VX-8GR,FT-277R FT-50R FT-50E FT-50 FT-50RD FT-60R FT-60E FT-60 etc…. GMR3050 GMR3055 GMR4055 GMR4088 GMR4060 GMR5088 GMR5095 GMR5098 GMR4040 GMR4099 SX377 SX379 SX327 SX329 SX237. 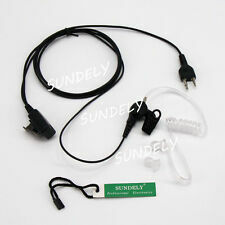 Sundely Throat Vibration Mic Earpiece for Uniden Radios--. Compatible Uniden Models Action Throat Mic Headset. CovertA coustic Tube Headset for Uniden Radios. 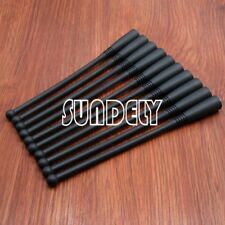 Compatible Uniden Models Transparent flexible acoustic tube. Hidden microphone inside PTT switch. Ible Yaesu / Vertex Standard Mode. Frequency: 400-470 MHz(UHF ). VX-130, VX-131, VX-132, VX-160, VX-180, VX-210, VX-210A, VX-230, VX-231, VX-350, VX-351, VX-354, VX-410, VX-417, VX-420, VX-427, VX-600, VX-800, VX-820, VX-821, VX-824, VX-829, VX-900, VX-920, VX-921, VX-924, VX-929, VX-970, VX-971, VX-974, VX-979. Alan Midland G6 / G7 / G8 / G12 M24 / M48 / M99 / 445 Sport / 445 BT ALAN 421 /441 / 443 / 451 / 456R MIDLAND Ocean and MIDLAND Atlantic / Alan 42. Midland 75-501, 75-510, 75-785, 75-786, 75-810, 75-820, 75-822, 445BT, 70-440BP, 75-501, 75-785, 75-810, 80-125, 80-150, 80-400, 80-425. Content:Nagoya 102 SMA Female Connector. The Original Nagoya N102 Whip Antenna will allow you to get longer range on your radio. This antenna features a 2.15 dB signal with up to 10W of power. It is 30cm in length and weighs 78 rams. Alan Midland G6 / G7 / G8 / G9/ G10/ G12 /M24 / M48 / M99 / 445 Sport / 445 BT ALAN 421 /441 / 443 / 451 / 456R MIDLAND Ocean and MIDLAND Atlantic / Alan 42. Over-Head Headset with Boom Mic &VOX for Midland/Alan Radios. BAOFENG handheld Radio: UV-5R, UV-3R Plus UV5R/Plus, UV5RA/Plus, UV5RE/Plus, UV5RB, UV5RC, UV5RD, UV3R Plus, BF888s, BF666s, BF777, BF-320, BF-480, BF-490, BF-520, BF-V6, BF-V8, etc…. Gain: 3.2dBi (VHF)/5.6dBi (UHF). 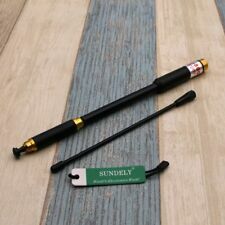 UHF Antenna For Kenwood Radios Walkie Talkies. Frequency: 400-470 MHz(UHF ). Compatible Kenwood Models TK-2302, TK-2312. 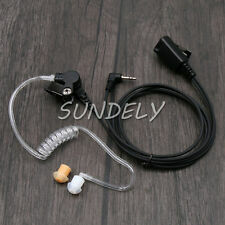 Sundely Throat Vibration Mic Earpiece for Uniden Radios--. Compatible Uniden Models Action Throat Mic Headset. Hidden microphone inside PTT switch. In-Ear Speaker. 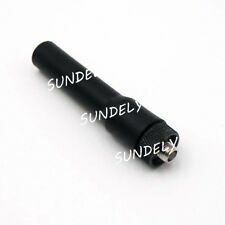 UHF Antenna For motorola Radios Walkie Talkies. Frequency: 400-470 MHz(UHF ). Compatible Motorola Models Quantity: 5 pcs. SF20 Dual Band Mini Soft Antenna SMA-F Baofeng Wouxun KENWOOD. Frequency Band(s)VHF. Frequency:136~174MHz / 400~520MHz (Dual band ~ UHF/VHF ). LT-3288, LT-6288, LT-3188, LT-2188, LT-3260, LT-3268, LT6188, LT3288. TK-762G/862G/863G/880G, TK-780/880/980/981, TK7102/8102/7150/8150/7160/8160/7180/8180/7302/8302. Handheld/Shoulder Mic for Kenwood R adios. GXT1000VP4 LXT118 LXT500VP3 LXT118VP GXT1000VP4 GXT1050VP4 GXT1050VP4 LXT535VP3 LXT600VP3 LXT500VP3 GXT860VP4 LXT550. GXT860VP4 LXT535 LXT535VP3 LXT490VP3. Acoustic Tube Style Headset for Midland 2 Way Radios. VHF Antenna For motorola Radios Walkie Talkies. Compatible Motorola Models. Nagoya NA771 SMA Female 2.15 dB 10W Single Antenna FOR Radio Baofeng KENWOOD. Content:Nagoya 771 SMA Female Connector. The Original Nagoya N771 Whip Antenna will allow you to get longer range on your radio. XTS 1500, XTS 5000, XTS 3500, XTS 2500, XTS3000. Style: Stubby. Frequency: 800-890 MHz. 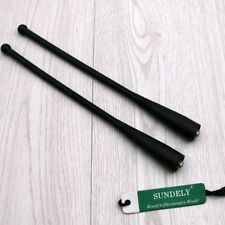 UHF Antenna For motorola Radios Walkie Talkies. Compatible Motorola Models Impedance: 50 ohm. UPCDoes not apply. CT Series: CT150,CT 250, CT450,CT 450LS. 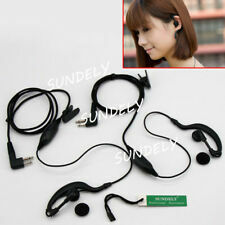 High Quality Acoustic Tube Earpiece For Motorola Radios. Hidden microphone inside PTT switch. Motorola Spirit Series: SV10, SV11, SV11D, SV21, SV12, SV22, SV22C, SU210, SU22. Motorola Spirit Series: SV10, SV11, SV11D, SV21, SV12, SV22, SV22C, SU210, SU22. CLS Series: CLS1110, CLS 1410, CLS1450 ,CLS 1450C, CLS1450CB, VL50. High Quality Acoustic Tube Earpiece For Motorola Radios. MTX800, MTX838, MTX850, MTX850-LS, MTX900, MTX950, MTX960, MTX8000, MTX8250, MTX9250, MTX-LS. UHF Antenna For motorola Radios Walkie Talkies. Frequency Band(s)UHF. Frequency: 806-890 MHz(UHF ). Compatible Motorola Models. PUXING handheld Radio: PX-777, PX-777 PLUS, PX-666, PX-3288, PX-888, PX-888K. WOUXUN handheld Radio: KG-UVD1P, KG-659, KG-669, KG-669 PLUS, KG-679, KG-679 Plus, KG-689, KG-689 PLUS, KG-699E. BAOFENG handheld Radio: UV-5R, UV-3R Plus UV5R/Plus, UV5RA/Plus, UV5RE/Plus, UV5RB, UV5RC, UV5RD, UV3R Plus, BF888s, BF666s, BF777, BF-320, BF-480, BF-490, BF-520, BF-V6, BF-V8, etc…. GXT1000VP4 LXT118 LXT500VP3 LXT118VP GXT1000VP4 GXT1050VP4 GXT1050VP4 LXT535VP3 LXT600VP3 LXT500VP3 GXT860VP4 LXT550. Throat Vibration Style Headset for Midland Radios. Action Throat Mic Headset. Hidden microphone inside PTT switch.